With an oral examination and x-rays of the mouth, Dr. Cowan can evaluate the position of the wisdom teeth and predict if there are present or future potential problems. 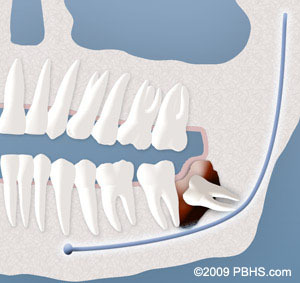 Studies have shown that early evaluation and treatment result in a superior outcome for the patient. Patients are generally first evaluated in the mid-teenage years by their dentist, orthodontist, or by an oral and maxillofacial surgeon. All outpatient surgery is performed under appropriate anesthesia to maximize patient comfort. Dr. Cowan is trained, licensed, and highly experienced in providing various types of anesthesia for patients. 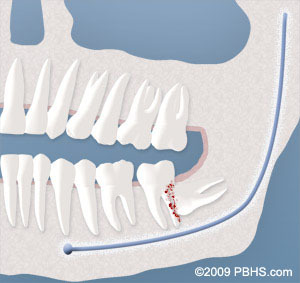 On the day of your procedure, you will take medications to help minimize post-operative pain and swelling. We ask that a parent or responsible adult accompanies you to the office and plans to stay with you the rest of the day. The procedure will take about 60 minutes and you will probably be in the office for 90 minutes. Recent advances in medicine and technology allow patients to undergo wisdom tooth removal in a manner, which promotes rapid healing and minimal post-operative discomfort. State-of-the-art sterilization and infection control techniques are used at all times. At the time of your consultation, your specific situation will be discussed in greater detail. We encourage you to ask any questions you may have. If new questions arise after your consultation, please call our office at Indianapolis Phone Number 317-536-0748 to speak to one of our patient care coordinators.